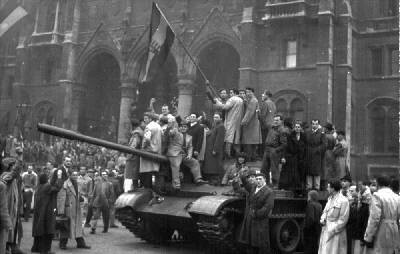 ‘Hungary ’56’ was the most dramatic uprising against Stalinist dictatorship. Weeks of fearless street battles and countrywide general strike action temporarily broke the machinery of totalitarian rule. The heroism, combativity, resourcefulness and humanity of the students and workers matched those of the Paris Communards of 1871 – who, in Marx’s words, ‘stormed heaven’ – and of the Bolshevik workers and soldiers who carried through the socialist revolution of October 1917. In Hungary, in April 1956, the Petofi Circle was set up to discuss freedom of expression and other democratic rights…The Hungarian Writers’ Association met in June. George Mikes writes in his book, The Hungarian Revolution: “All the writers who took part in the first revolt were good Communists, trusted and pampered sons of the regime”. In the face of a growing crisis, the ruling layer split – the first condition of any revolution. Rakosi was replaced by Gero, another hardliner, instead of Nagy, the more popular leader. But even Gero was forced to make concessions. In July, Lazslo Rajk, a prominent communist who had been purged in 1949, was rehabilitated. Early in October, on the ceremonial occasion of his re-burial, more than 200,000 marched through the streets of Budapest in an act of mass protest against the regime. Inside Hungary’s factories, workers were now organising in pursuit of their demands – for genuine trade unions and workers’ control. “Within two days, the main centres of the revolt were in the working class areas”, Peter Fryer writes in his vivid eyewitness account, Hungarian Tragedy. Sent to the country on behalf of the British ‘Communist’ paper, the Daily Worker, he saw for himself how the ‘insurrectionary committee’ of the northern city of Gyor functioned: total democracy and deep determination not to live as they had lived before. The working class of Hungary was moving onto the scene of history in an unforgettable manner. The first reaction of the regime was, naturally, to take the road of repression. Gero went on state radio to condemn the 23 October demonstration and declare a state of emergency. This inflamed the situation. A delegation of students went immediately to the radio station to protest. When they failed to reappear, a Hungarian tank in the square moved forward. Once its commander was seen to side with the demonstrators, an unstoppable process began. The Hungarian state machine – the police and army – began to fracture. Whole sections joined the revolution, others remained neutral. The parliament building “resembled the Smolny Palace in Petrograd, the Bolsheviks’ centre in 1917”, wrote Sandor Kopaksi, former Budapest police chief. In less than 48 hours from its start, he came over to the revolution, bringing with him the whole of the city’s police. Three days later he was elected second in command of the Patriotic Revolutionary Militia. Malétér was made defence minister in the new government set up by Nagy on 27 October. 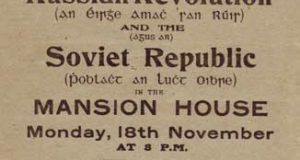 Fryer describes the revolutionary committees, linked up countrywide as, “organs of insurrection – the coming together of delegates elected by factories and universities, mines and army units – and organs of popular self-government which the armed people trusted… Until the Soviet attack of November 4, the real power in the country lay in their hands”. The ‘ruling’ Communist Party, numbering around 900,000, disintegrated. Creating the Hungarian Socialist Workers’ Party to take its place gave Kádár no more authority in the eyes of the working class. His government was suspended in mid-air. Around him sprang up new or long-banned parties and trade unions, “no fewer than 25 daily newspapers”, wrote Fryer, “in place of the five sad, dreary, stereotyped sheets of recent years”. Flags flew everywhere, but with the emblem of Soviet power cut from the centre. Russian soldiers had been persuaded to take the star from their caps. From the early days of the revolution, the demands of the movement looked identical to the principles outlined by Lenin and Trotsky for ensuring genuine workers’ democracy, a precursor to socialism. New leaders must be elected, they insisted. No trust in the old state; the people must be armed. Workers’ management and decision-making through elected councils must be applied everywhere. No privileges. Increased wages, pensions and family allowances. 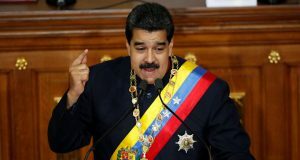 Basic democratic demands for press freedom, academic freedom, freedom of expression, the right to assemble and for parties to stand in elections. Freedom from all forms of national oppression meant the immediate and total withdrawal of Russian troops. But a revolutionary situation, without the timely intervention of a revolutionary party, can end in disaster. Instead of a new society coming into being, a tragedy ensues. In the first days of November 1956, the Kremlin bureaucracy, in league with Kádár, was preparing a very bloody revenge. Nagy…fled to the Yugoslav embassy on 3 November…On that fateful day, the valiant workers and youth of Budapest were left facing a second, more brutal ‘Soviet’ invasion. Another nationwide general strike was called…‘until the last Russian soldier leaves Hungarian soil’…In places like Dunapentele and ‘Red Csepel’, workers maintained their strikes for another week. In the south, the Pecs miners held out for three weeks with their own militia force. 500 delegates of the Budapest workers’ council met on 13-14 November…The Russian overlords sent tanks to surround the meeting…Prominent workers’ leaders were rounded up and imprisoned…yet strikes and go-slows defiantly continued, in some cases for more than a year. Why did ‘The West’ not move in on the side of ‘democracy’ in Hungary in 1956? It was not simply that the Suez crisis was distracting them. They knew the strength of the workers’ socialist convictions and the threat to capitalism worldwide if the workers took power…If support for market capitalism and outright counter-revolution had been stronger within the country, outside help or even clandestine internal help would have been forthcoming. Without the clear strategy and tactics of a revolutionary leadership, however, the revolution could not have succeeded. A workers’ state of the hideously deformed kind that existed previously would be restored. This is what happened. Nevertheless, nothing in Hungary would ever be the same. Kádár was forced to introduce reforms and an amnesty for prisoners and church leaders and increased rights for workers and farmers. As the Prague Spring of Dubcek’s challenge to Moscow bloomed in 1968, Kádár was forced to lift living standards and, following the advice of Khrushchev on how to deal with discontented workers, ‘Stuff their mouths with goulash’! 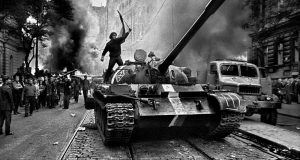 Outside Hungary the use of tanks against the workers’ revolution led to demonstrations on the streets of Europe’s major cities and thousands of resignations from ‘Communist’ parties across Europe. They were shocked and disgusted to find Stalinism did not represent socialism. The predecessors of the Socialist Party in Britain at the time posed the question to genuine communists:”Two general strikes and two insurrections in three weeks. Why? To restore capitalism and landlordism! What a dirty lie!”. Even in Czechoslovakia, more than a decade later, the aim was still not market capitalism but “socialism with a human face”. Even as the trade union ‘Solidarity’ developed in Poland in the 1980s, some of its leaders retained a strong allegiance to the ideas of socialism. But the defeat of the movement in Poland dealt a big blow to the confidence of the Hungarian working class. By the 1980s it had become clear that in Hungary, as well as in the Soviet Union, the dead weight of totalitarian control – centralised or decentralised – had become an actual barrier to further economic growth. As in other parts of the ‘Soviet’ bloc, the bureaucratic elites experimented with reforms to save the situation. Then they decided to abandon the state-owned planned economy. It could no longer assure even the bureaucrats themselves the income and lifestyle to which they had grown accustomed, let alone satisfy the needs of the long-suffering working class. In Hungary, the end of Stalinism came relatively peacefully. Workers had lost hope that their struggling state-owned planned economy could be revived through their own action. With living standards falling steadily and the idea of market capitalism gaining ground, by the time of the collapse of the Berlin Wall, Imre Poszgay (Kádár’s successor) opted for a rapid transition to capitalism. What was once the monolithic ‘Communist’ Party simply changed its name and became an open party of capitalist restoration. Capitalism has proved to be a hard school for the Hungarian working class. The heroes of 1956 have been proved right to have set their sights on state ownership and the plan but without the bureaucrats. The harsh programmes of today’s right-wing capitalist politicians demand a revival of the legendary fighting capacity of the Hungarian working class. The building of powerful workers’ organisations on the basis of a programme of socialist change represents the best way to honour the martyrs of ’56 and follow in the traditions of the fearless workers of Red Csepel and Ujpest, of Gyor and Dunapentele.